The participants included children and elderly people. In one contest, they mimicked the birds' calls by shouting into a microphone. 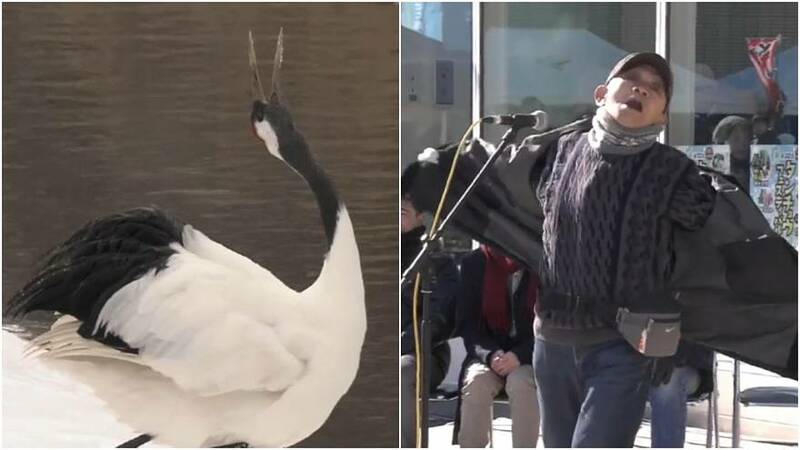 Visitors laughed when some of the contestants tried to imitate cranes flapping their wings.